This was one of those books that I knew I really should read. I had checked it out of the library a few times, but was never able to get to it before the due date (thanks to the law of "all holds must come in at once.") So, when this one came to me through one of my book clubs, I knew the time had come. I knew immediately that this would be a book that would work for me. The characters, the main and the supporting, all vividly come to life on the page. I especially liked the shorter chapters we would get describing the smaller characters. While they aren't essential to the story, they add a depth to the novel that I appreciated. There are a few main plots in this book, but it centers around the two teenage characters, Maribel and Mayor. I found their story and relationship to be reminiscent of Eleanor and Park (which, in my mind, is a very good thing). Mayor was both a typical teenager and a fascinating young man. Most of the books with characters such as him that I've read concentrate on the female counterpart, so it was nice to see the tables turned there. We don't have much of a chance to get inside Maribel's head, but that is an effective choice by Henriquez, for two reasons. First of all, because of her brain injury, it makes sense that Maribel's character is closed off--both from the world and from the reader. 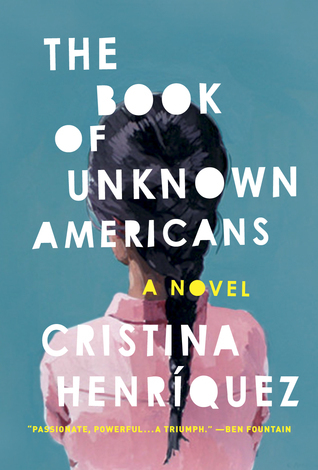 Second, by not seeing through Maribel's eyes, Henriquez reminds the reader of how we might distance ourselves from our immigrant neighbors. I believe, given what is happening in the world, this is the perfect time to read this book. 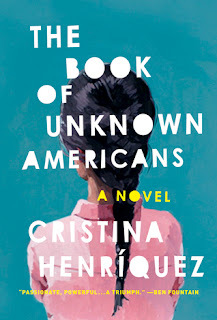 While so many lines are being drawn (and walls being built), it is important to put yourself in someone else's shoes--and reading this book is an excellent way to do so. I regret that it took me so long to read this, but I'm glad that I finally did and I would recommend it to anyone and everyone.